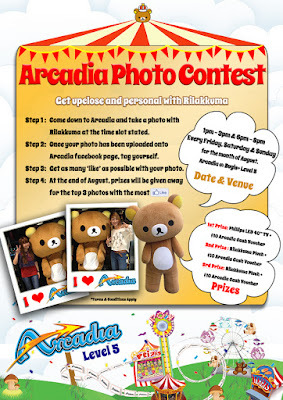 The first image is the poster designed for a photo contest that is held at the retail outlet of Arcadia, an arcade targeted at family audiences and Rilakkuma fans. 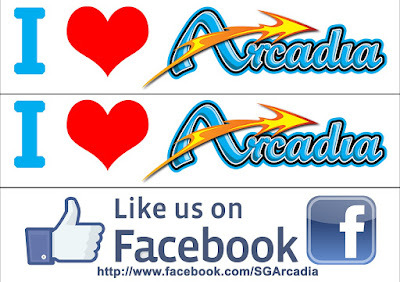 This is a mini marketing event to boost the awareness of the arcade by means of social media marketing and also to boost the Facebook 'likes' of the arcade. The second image is the props created so that customers would be able to hold onto the signage props during the photo taking session with the Rilakkuma mascot. Firstly, a proposal is created with all the budgeting and costing, followed by the data analytics based on time frame of promotion as well as the number of patriots of the shopping mall. 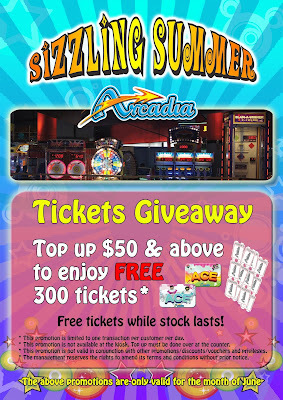 The third, forth and fifth images are all A2 posters created for the promotion on the following month. 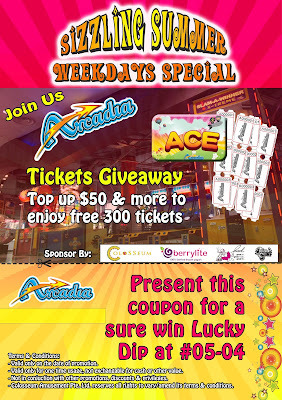 This promotion is held in the retail arcade itself. 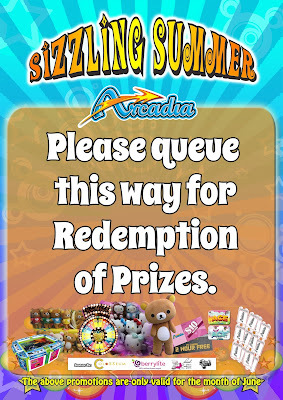 The promotion is to boost the sales of arcade tokens purchased by customers and also for them to enjoy a lucky dip in return so as to reward the loyal customers for their long term support for the arcade. 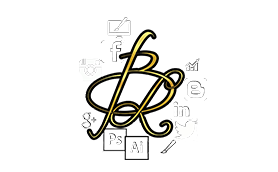 Thereafter the event, a post marketing report is created with chart and analysis focusing on budgeting, profit, loss, customer acquisition cost, key performance indicator and the return on investment. 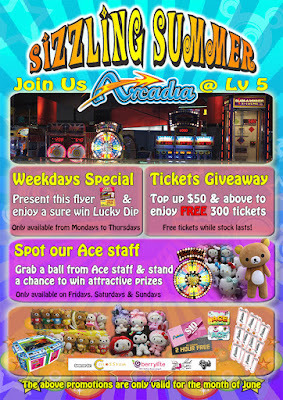 The last image is the designed A5 flyer that is disseminated to customers around and within the shopping mall area.